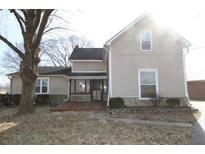 Walking Distance To Downtown Shops, Eateries,Hospital,Park. MLS#21626539. Carpenter, REALTORS®. Copeland Farms - Easy access to schools and I-70. MLS#21627466. RE/MAX Realty Group. Also, septic was replaced in 2012 and heat pump is 1 year old. MLS#21627241. CENTURY 21 Wilson & Associates. Wildwood Estates - Don't miss the chance to get in and see this tastefully remodeled home! MLS#21627033. RE/MAX Realty Group. Weston Green - Check it out while it's still available! MLS#21627075. F.C. Tucker Company. So much potential! Property sold AS-IS. MLS#21626313. RE/MAX Realty Group. The Trails - The amazing back yard is a dream with screenporch, hot tub (7ppl) , natural wood firepit w/ sitting wall, and inground pool w/auto cover and auto sweeping system and very large entertaining area. 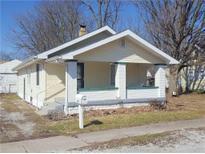 MLS#21624194. Berkshire Hathaway Home. 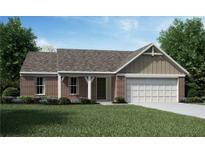 Meadow At Springhurst - Surround sound in the basement room, kitchen and master bath area. MLS#21626948. Artisan, REALTORS®. Over 3000 square ft of living, storage/vehicle space/bonus! And Mount Vernon School system. MLS#21622105. 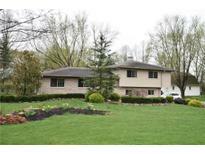 Keller Williams Indpls Metro N.
Hampton Place - A great opportunity in a wonderful neighborhood. MLS#21626649. Asset One Real Estate Company. Fairview - Hurry in because this great deal won’t last long!! ! MLS#21626991. RE/MAX Real Estate Solutions. Cranberry Lake Estate - Impressive Stone & Slate Patio w/pergola & firepit overlooking large prtl wooded lot MLS#21626625. Keller Williams Indy Metro NE. New sump pump & bkup, newer roof & windows. UNLIMITED POTENTIAL! MLS#21624111. Hodges Realty, LLC. 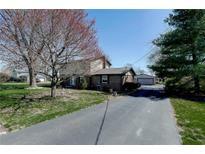 All appliances included- Move right in and be settled in time for summer fun- nice paver patio overlooks farm field. Come see today. 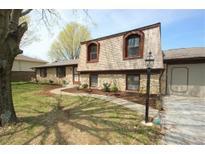 MLS#21626001. RE/MAX Realty Group. You don't want to miss this one! MLS#21626035. Red Hot, REALTORS LLC. Tremendous Potential For Outdoor Space....Room For Pole Barn, Pool, Garden, Etc. Affordable County Taxes!! Great Location! ! MLS#21625684. Yazel Group (Real Estate Sales. Make this 3 bedroom, 2.5 bath, great room with fireplace, wonderful loft, kitchen, breakfast/dining room and 2 car finished garage your next home. MLS#21625490. RE/MAX Realty Group. Buck Creek Meadows - Home has two bedrooms and two baths, kitchen, dining room, and living room, If you are a mechanic, or a woodworker, or just want lots of space, this property is for you. MLS#21624114. Carpenter, REALTORS®. Come see this home and make it your own! (C-BOD) MLS#21624182. CENTURY 21 Wilson & Associates. Includes small fenced in side yard. MLS#21624086. Liberty Real Estate, LLC..